Magaluf has been a staple destination for party holidays for many years and it’s easy to see why! 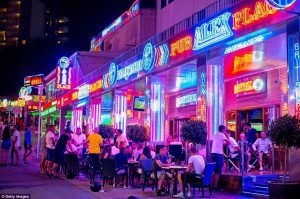 With everything from karaoke bars to sports bars and epic clubs, Magaluf’s nightlife has something for everyone! Much of the nightlife in Magaluf is on The Strip. It starts near BH Mallorca and runs all the way down to the beach, splitting off at multiple points along the way. There’s an event every night at the many clubs dotted around Magaluf. And when the night is over, trek to Burger King, McDonald’s, or a local kebab shop to pick up that midnight bite you’ve been craving! 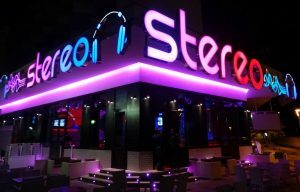 One of the newer bars to join the Magaluf nightlife, this stylish bar is hard to miss with its neon lights and sleek design. With a generous outdoor area overlooking the top of The Strip, this is the perfect place to soak up the warm nights and people watch. After a few drinks, the stripper’s pole in the middle of the dancefloor might become tempting; give in and have a swing! Unlike other bars on the Magaluf Strip, Alex’s is actually a collection of bars dominating a corner of The Strip parallel to the beach. Each bar represents a different genre of music, there’s R&B, party zone, indie, and the lounge which plays current pop and chart hits- pick the one that floats your boat! 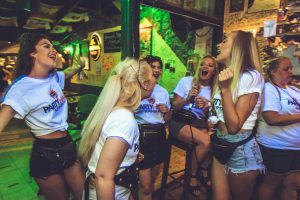 A popular choice for British tourists, this bar has been hailed the best karaoke spot in Magaluf! During the day they serve a mean English breakfast and, as the night falls, the neon lights come on and the dancefloor lights up. No one is safe from the captivating atmosphere at EastEnder’s Bar! You will end up singing a ballad or two, we guarantee it! 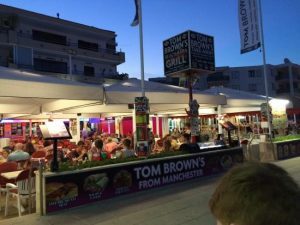 Somewhat of an icon in Magaluf, Tom Brown’s is everyone’s favourite place to grab some quality British grub for a quality price! 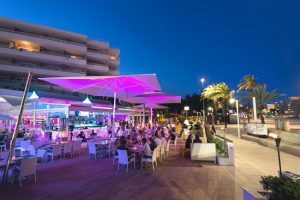 Located at the top of The Strip, this Magaluf restaurant doubles as a bar when the sun sets, so after you’ve finished your fish and chips, stay for a drink or two before hitting the town! 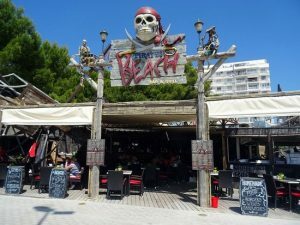 Situated right on Magaluf’s beach, Pirate’s Beach Bar and Grill is the place to go if you’re craving a hearty burger or baby back ribs. Specialising in American BBQ food, Pirate’s Beach Bar and Grill is a great spot to grab a bite after a day at the beach. Located directly on the beachfront, Bondi Beach is one of the many restaurants and bars to choose from on the Magaluf shore. With a hot plate at every table, customers have the option to grill their own steak to their personal preference! With good vibes and chilled music, Bondi Beach is a relaxing Magaluf beach restaurant. Magaluf has some of the best nightlife in all of Spain, but there’s loads to do in the daytime too! Spare an hour or two from your packed Party Hard Travel events package to check out some of these great daytime activities in Magaluf! Playa de Magaluf is the main beach in Magaluf. Spend your days relaxing with your mates on the golden sand or get involved in some of the watersports they have to offer. With everything from waterskiing, jetskiing and banana riding to pedal boats and paragliding, there’s something for everyone! 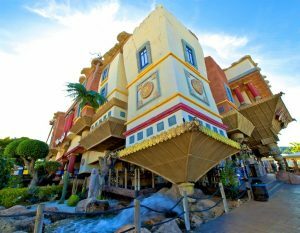 If you’re down for something a little different on your Magaluf party holiday, check out Katmandu Theme Park! With a huge mini golf course and carnival rides, this park is a fun day out for you and your mates. Is there anyone that doesn’t like waterslides? Relive your childhood at the Western Waterpark as you soak up the sun whilst racing your friends down the many slides the park has to offer! 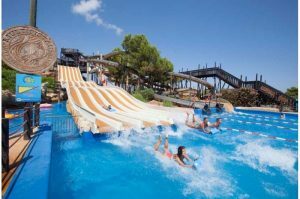 If you love your slides though, it’s worth remembering that BH Mallorca Hotel have their very own waterpark, and it’s all included in the price when you book your party holiday with us and choose BH Mallorca as your hotel. The Magaluf music scene is diverse. You’ll find everything from techno/D&B in the big clubs like BCM, to cheesy classics in karaoke bars on The Strip! BH Mallorca is home to the island’s biggest pool parties and live DJ performances, where the vibrant sounds of the summer fill the hotel nearly 24/7! 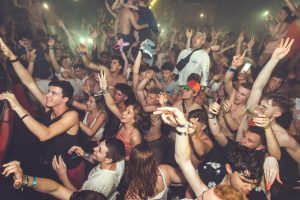 But, no matter where you spend your days and nights, Magaluf will provide you with only the best summer tunes to accompany your 2019 party holiday to Majorca!